Wendy's has recently introduced a different version of their fries. They call them 'Natural-Cut' Fries with Sea Salt. 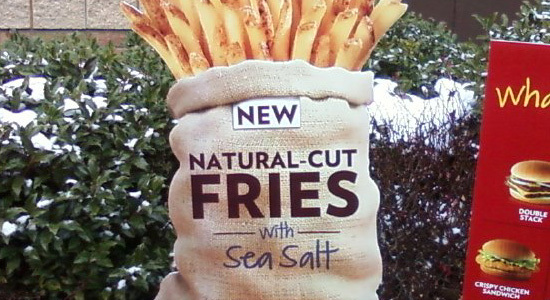 What do they mean by 'natural-cut' fries? What was 'unnatural' about the way they cut the old fries? Not only goes 'Unnatural-cut' fries sound unhealthy, it also sounds evil and diabolical. What have they been feeding us all these years?